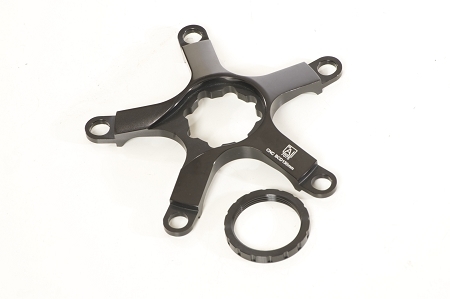 110bcd Interchangeable spider for use with JK road cranks. Includes lock ring. Compatible with 110bcd 10 or 11 speed chainrings. So had this item fitted onto my bike 2 months or so ago and all has been well so far,all in all a well made quality item and for me money well spent,i am thinking of fitting one to my MTB so Zinn's will be my first port of call,thankyou Zinn Cycles for all your help in getting this item to me.